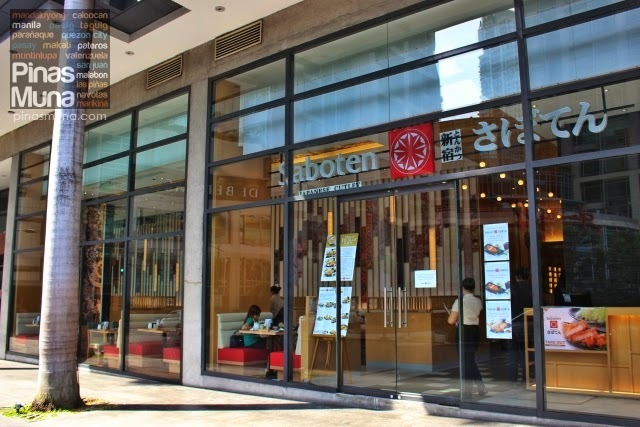 Saboten was founded in 1966 in Shinjuku, Tokyo, and is now one of the largest Tonkatsu chains in the world with over 500 shops in Japan, Korea, Taiwan, Thailand, Singapore, Hong Kong, Canada, China and the Philippines. 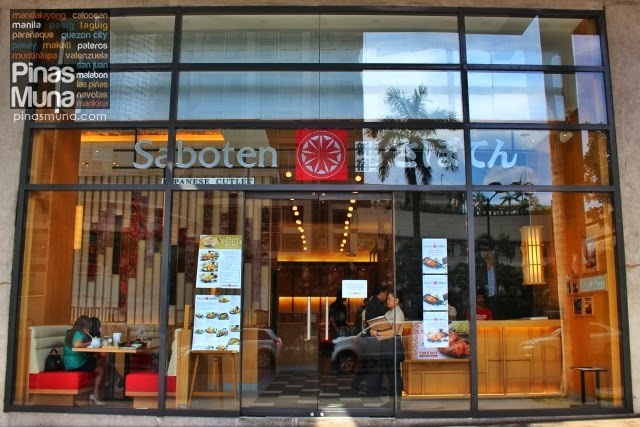 Saboten opened its first Philippine branch in 2013 at Serendra, Bonifacio Global City, Taguig. 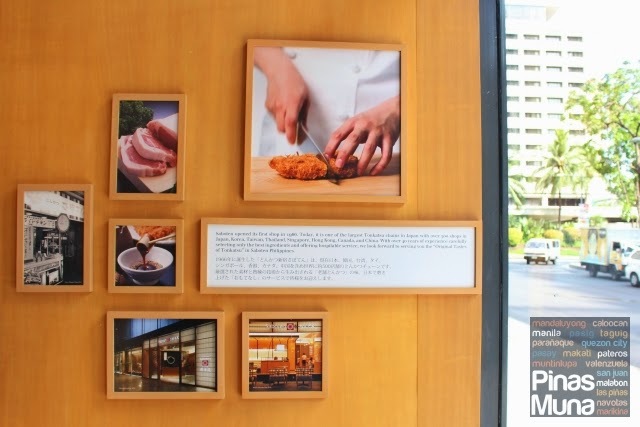 This May, Saboten Philippines is bringing the authentic Tonkatsu experience to the Makati Central Business District by opening its second branch at Glorietta 5. 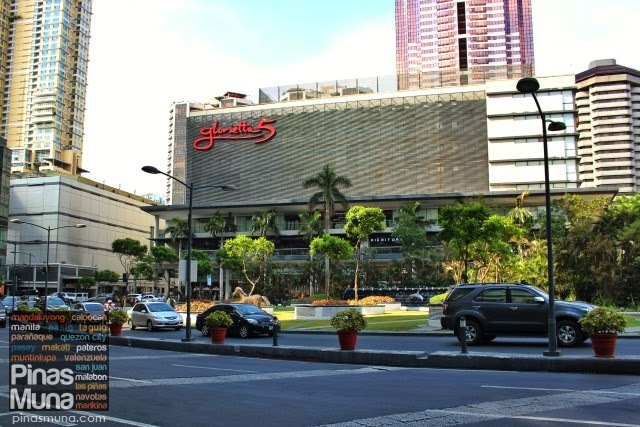 Saboten Glorietta 5 is strategically located along Office Drive facing Glorietta 4 and Glorietta 4 Park. 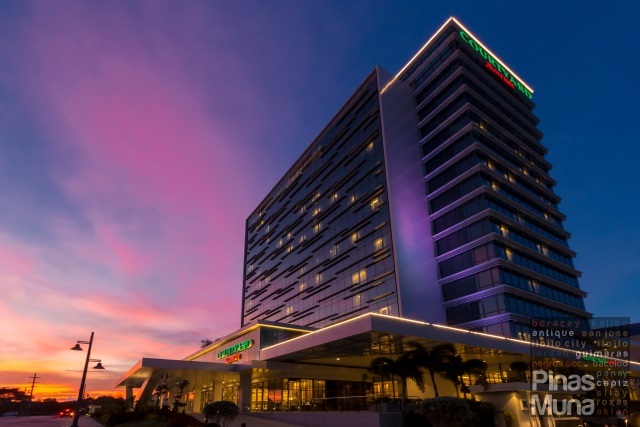 It is easily accessible from InterContinental Manila, Ascott Makati and a number of offices within Ayala Center. The facade features a high glass wall with the restaurant's interior visible from the outside. 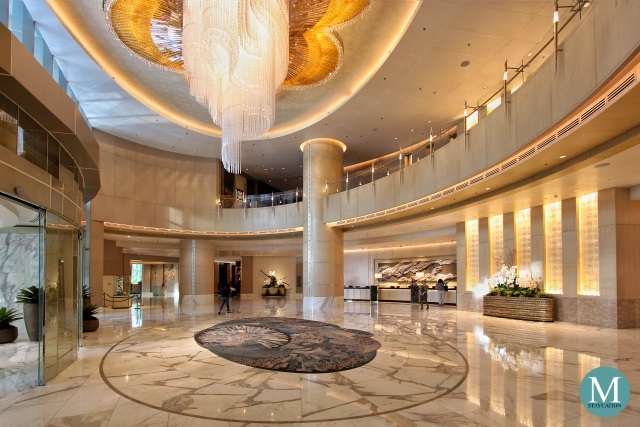 Upon entry, guests are welcomed by a warm greeting in Japanese by the restaurant's staff. 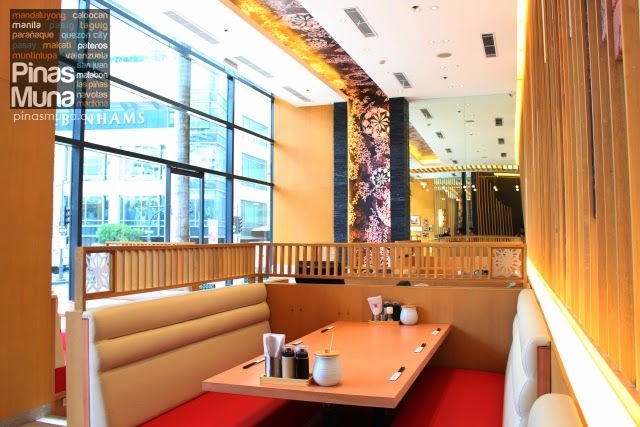 The restaurant's high ceiling gives the dining area a more specious feel and with the glass window allowing more natural light into the restaurant, the area feels more lively and comfortable. 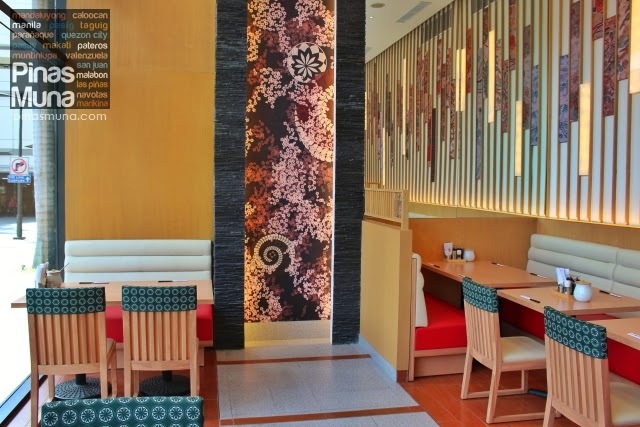 The walls are artistically decorated with Japanese patterns using modern and elegant design concepts. Natural materials like wood and stones are also incorporated into the design giving the whole interior a modern Japanese theme. The restaurant uses functional tables and chairs observing the classic Japanese minimalistic design. 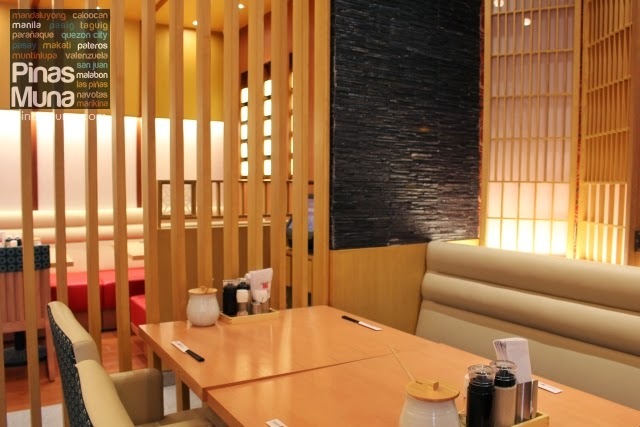 With wide spaces and minimum furniture, Saboten offers a modern zen ambiance to its diners. 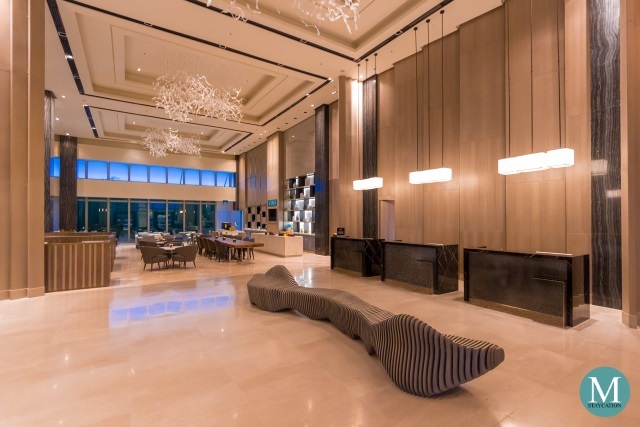 For more intimate and private affairs, guests may choose to seat at the restaurant's inner dining area. 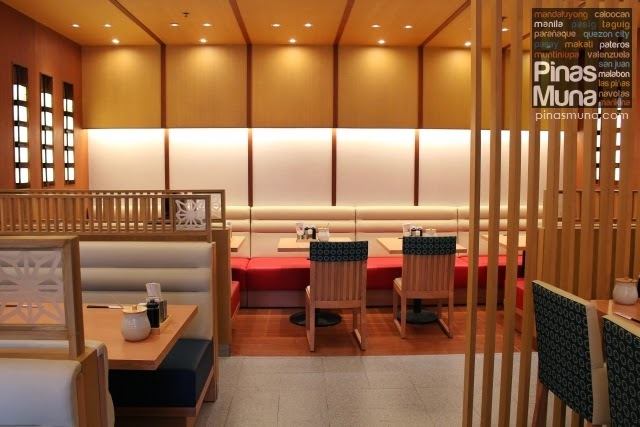 It has a more homey ambiance designed after a traditional Japanese home. This area which can seat around 20-30 people is ideal for small private functions such as birthdays, anniversaries, family or friend reunions and team lunch-outs. 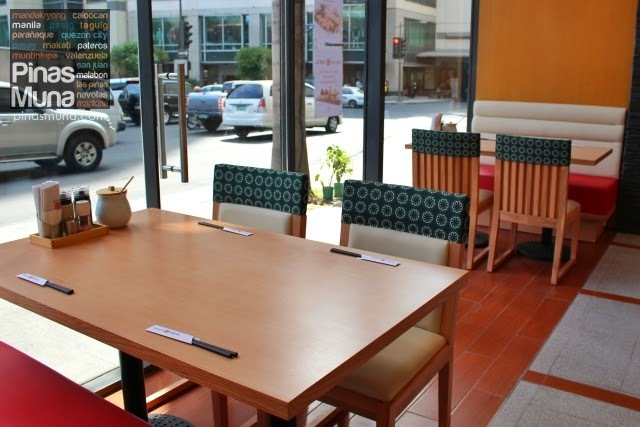 This week, we visited Saboten at Glorietta 5 for lunch. We ordered Saboten's signature menu, the Tenderloin Set (Small: P375.00; Medium: P395.00; Large: P425.00). 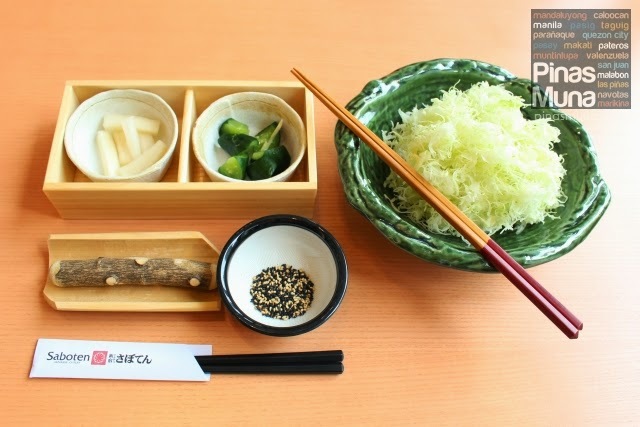 The set meal includes unlimited serving of shredded cabbage, pickles, rice and miso soup. 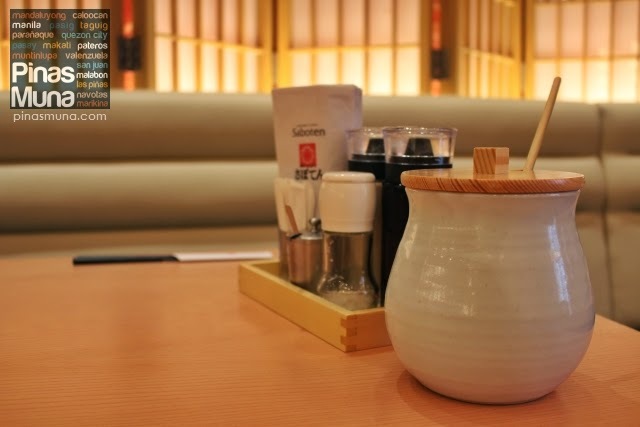 Our authentic Tonkatsu experience started with the grinding of black and white sesame seeds using a grinding -bowl (suribachi) and a wooden pestle (surikogi). When ground into a powdery consistency, two to three scoops of tonkatsu sauce will be mixed into the ground sesame seeds to create a traditional tonkatsu sauce. 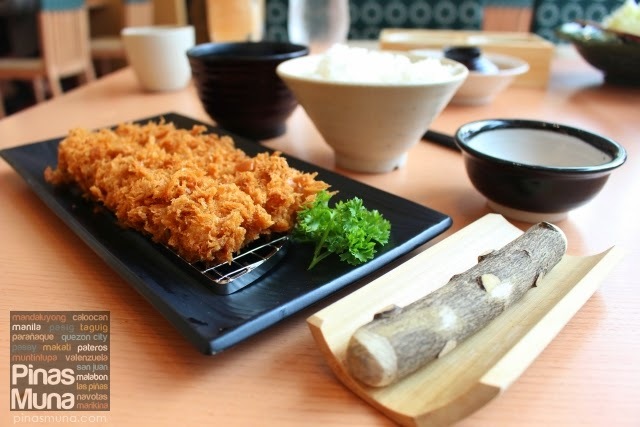 Saboten uses fresh and high grade pork in their tonkatsu that is then coated with fresh bread crumbs. They are then fried until golden brown. We like Saboten's tonkatsu because they are not oily at all. The crust is crispy but the meat inside is juicy. We also love the shredded cabbage especially when mixed with sesame sauce (goma dare). The sesame sauce tastes creamy, lightly sour and sweet. We also tried Saboten's newly launched product, the Mille-Feuille Katsu.We ordered the Mille-Feuille Set (P450.00) which also comes with unlimited serving of shredded cabbage, pickles, rice and miso soup. 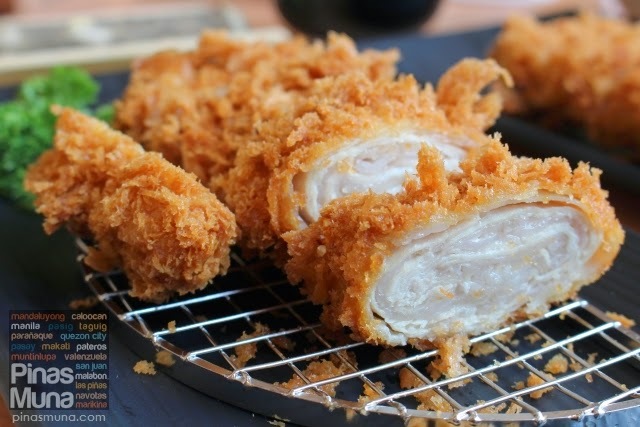 Mille-Feuille Katsu is made of thinly-sliced layers or pork, making the katsu more tender and juicy. Trivia: mille-feuille is a French culinary term which means "thousand leaves" in English. 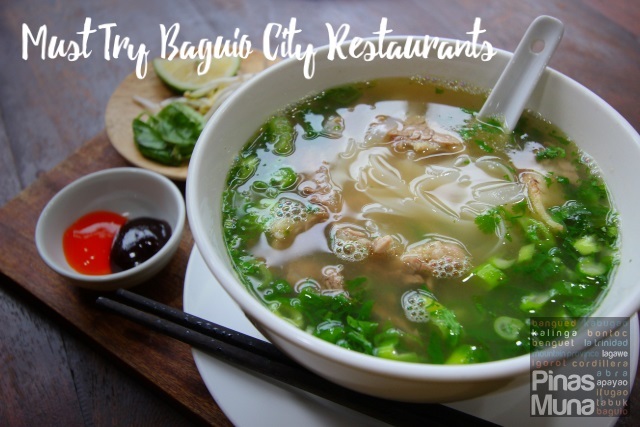 Saboten Philippines is managed by Raintree Restaurants Group, the creators of M Café, Kabila Filipino Bistro, Stella, Rocket Room, MOMO Café, Chelsea Grand Café, Terraz, Simple Lang and Costa Pacifica's Beach House.